I’ve been reading an old classic The Greatest Salesman in the World by Og Mandino. It tells a story about Hafid, a poor camel boy who achieves a life of abundance. The book was first published in 1968. I have had the book for years. I tried to read it, but I couldn’t get into it. Recently a very accomplished finance guy told me that he read it at the beginning of his career and it was pivotal to his success. I found the book in my office and again I was having a tough time reading it. Instead of giving up, I got a copy of it on Audible, and listened to it in my car. I’ve been listening to it over and over. The author says you should read one scroll three times a day for a month, then move on to the next one. • Scroll I – I will form good habits and become their slave. • Scroll II – I will greet this day with love in my heart. • Scroll III – I will persist until I succeed. • Scroll IV – I am nature’s greatest miracle. • Scroll V – I will live this day as if it is my last. • Scroll VI – Today I will be master of my emotions. • Scroll VIII – Today I will multiply my value a hundredfold. • Scroll IX – I will act now. • Scroll X – I will pray for guidance. 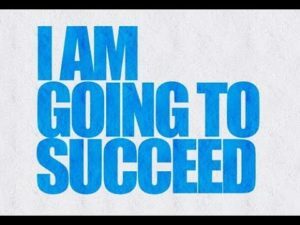 I have been working on Scroll #2 – I will greet this day with love in my heart.”This is the greatest secret of success. Only the unseen power of love can open the hearts of men.” I have always believed that if you fall in love with what you are selling then you can transfer that love and enthusiasm to your customer. Also, Actor Matthew McConaughey cited this book as having changed his life.